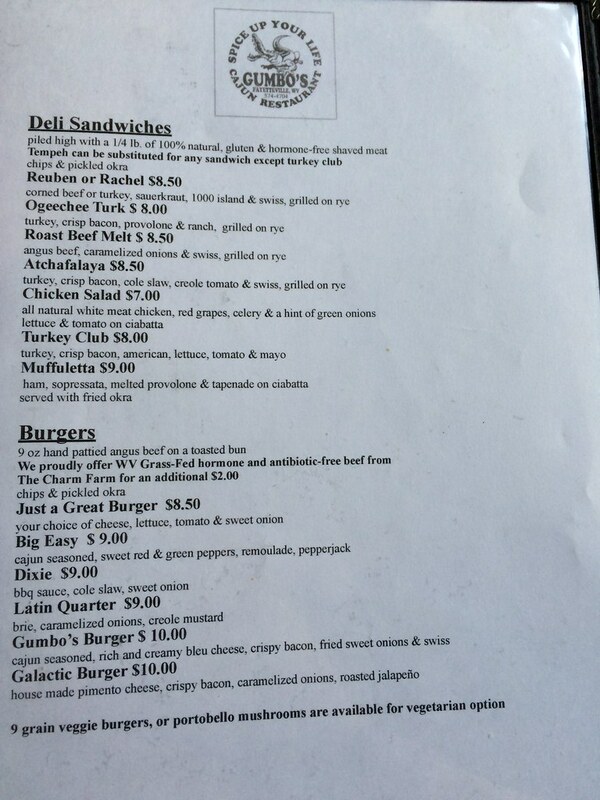 Cajun food in the middle of West Virginia? That's a first. 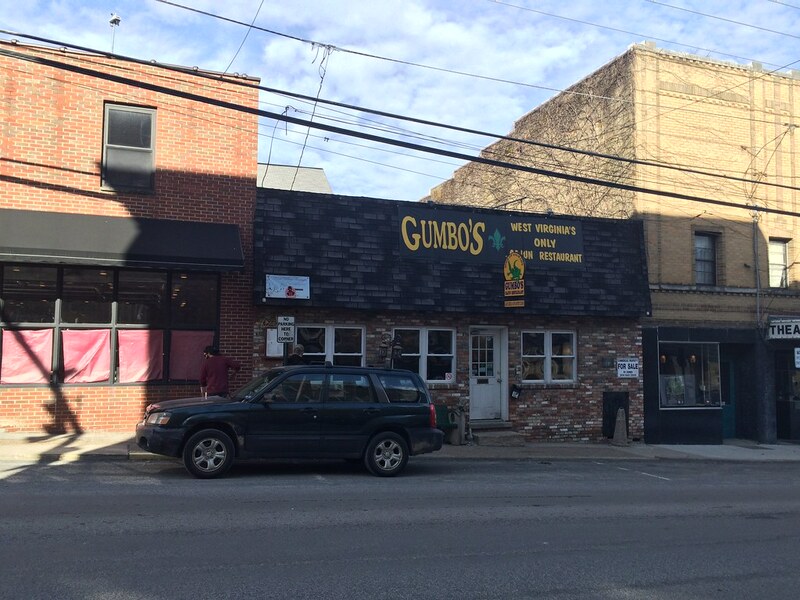 Gumbo's, in Fayetteville, claims to be West Virginia's only cajun restaurant. So, for dinner, Lisa and I stopped here after our day of skiing. I've already talked about how much I love Fayetteville (I really do), and places like this confirm it. 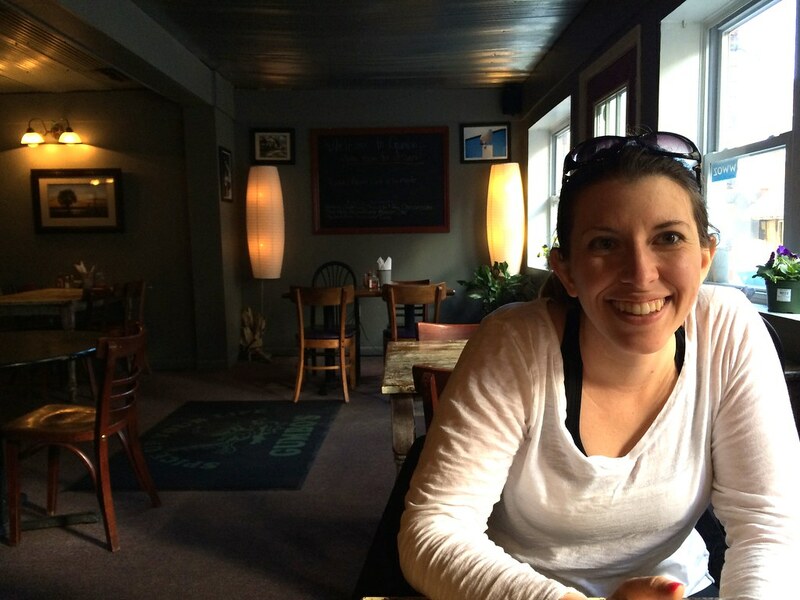 Cute, locally owned restaurants? Yes. Parking was right outside, and jazz music was playing from the speakers, which welcomed us into the restaurant. 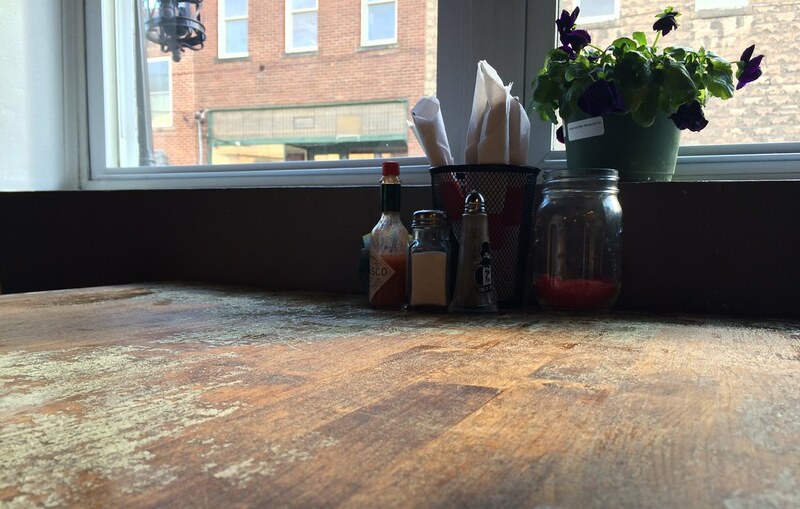 The interior was home to what looked like reclaimed-wood tables, fresh flowers and mason jars. We were hungry, so appetizers were a must. 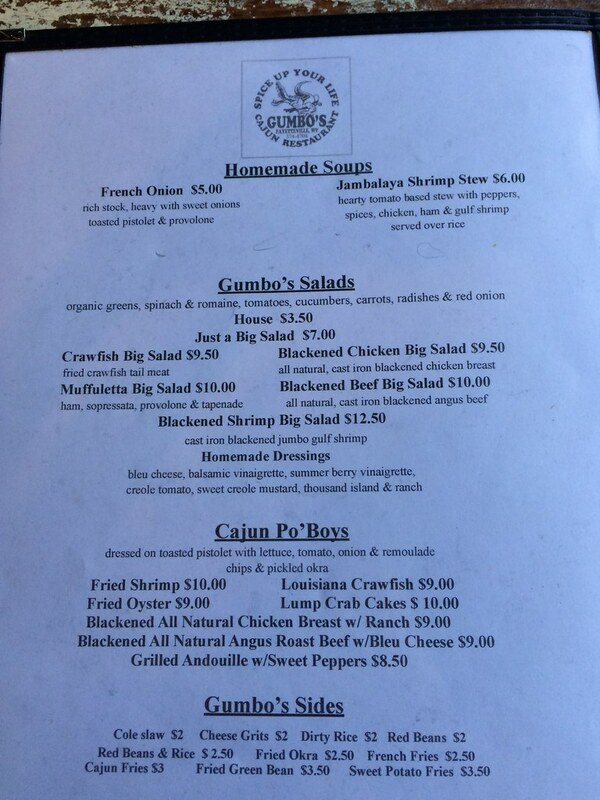 The Black & Bleu Shrimp sounded good - jumbo shrimp blackened and finished with blue cheese crumble? That's different. Well, it's exactly what you'd think it would be. 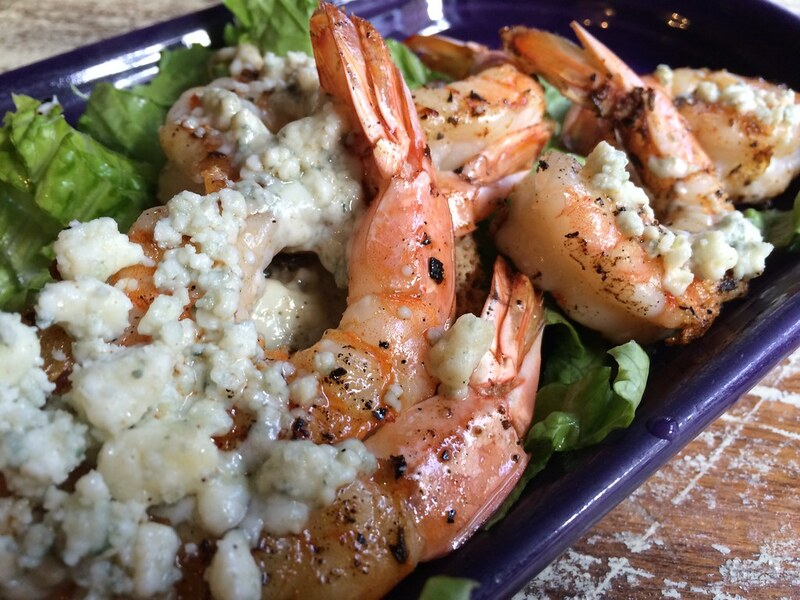 It was about six large shrimp with blue cheese sprinkled on top. I can't say this was my favorite combo. The cheese was just pretty overpowering for the shrimp flavor. I thought maybe there would be some more blackening spices or something to balance it all out. It wasn't bad, just not super great, either. Next was my house salad. They had a nice selection of homemade dressings, like a creole tomato basil (which I got) and summer berry vinaigrette (which Lisa got). And it was really, really good. 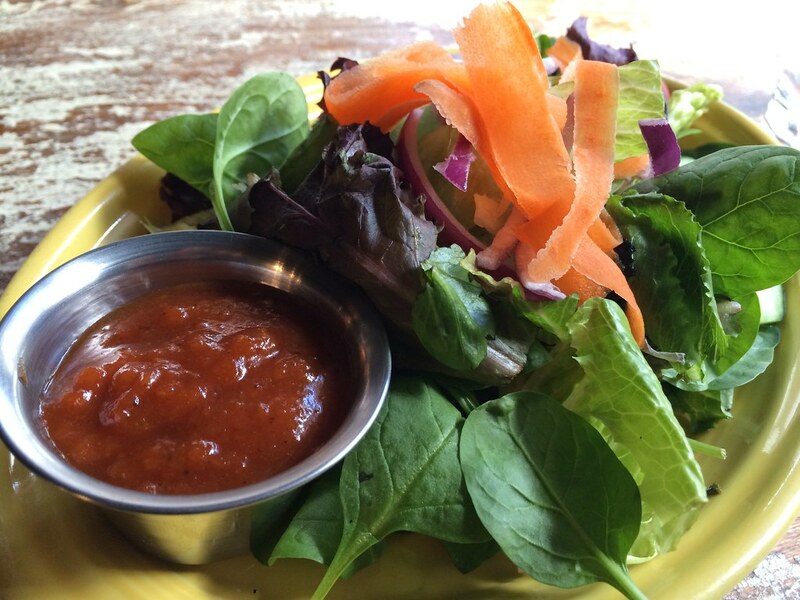 The dressing was like a slightly spicier French dressing. Delicious. Plus I loved the carrots, fresh greens and crisp onions. My main entree was shrimp and grits, because I'm on this never-ending quest to find the perfect dish. And these, well, they were pretty good. 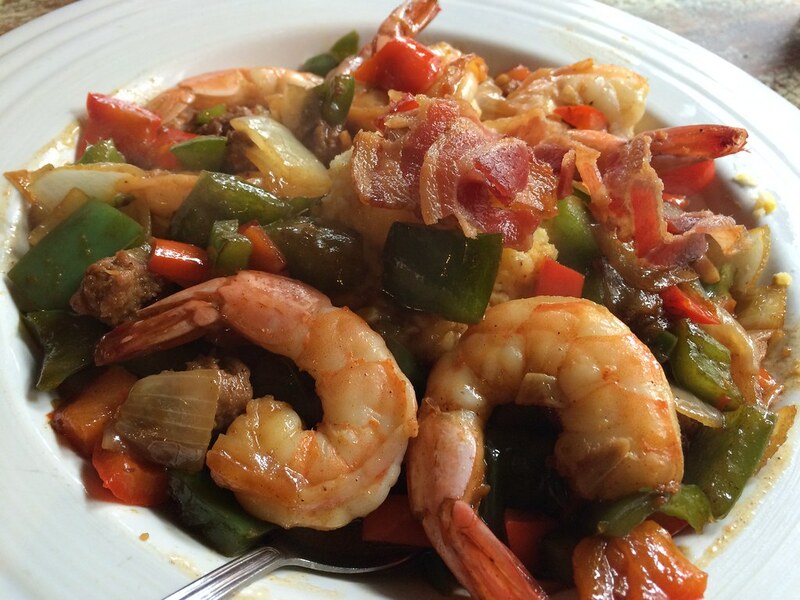 Its presentation is gorgeous, alone, with tons of fresh green and red peppers, onions, bacon, shrimp, sausage and grits. While it looks beautiful, there were definitely too many peppers. BUT once I got to the shrimp and grits, it was all good. It had this nice kind of smokey flavor, and the shrimp were plump. Pretty good. 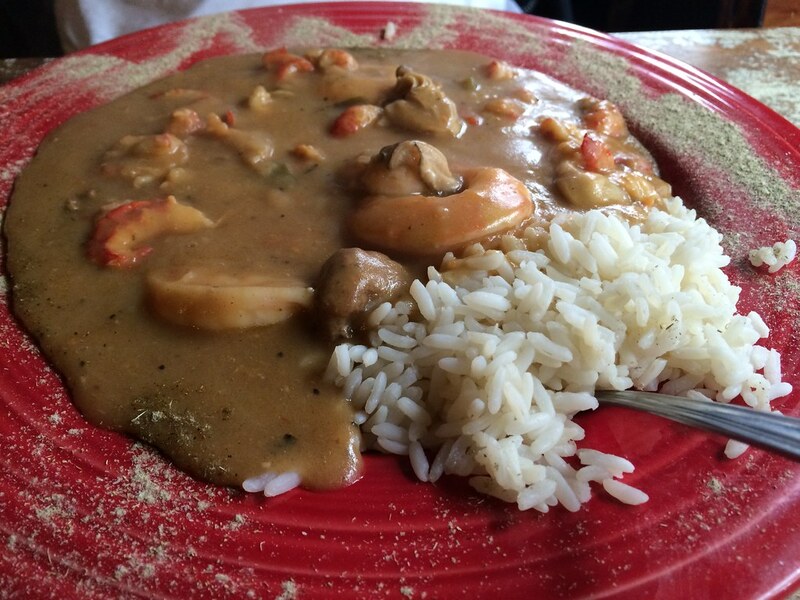 Lisa got the gumbo, which is basically a mixture of all the seafood ever in a thick sauce with rice. It's not the most photogenic, but it's one of those comfort dishes. 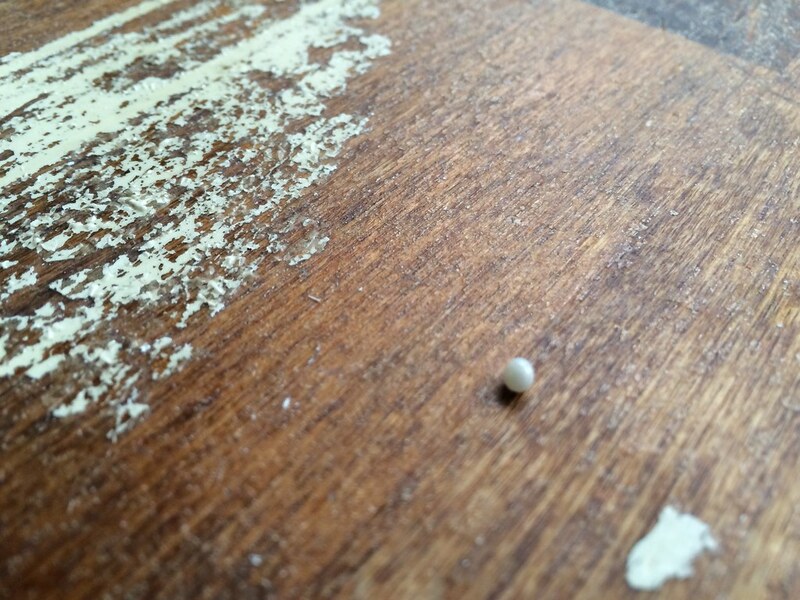 ALSO, the BEST PART: Lisa found a PEARL in her oyster. We both also got dessert. 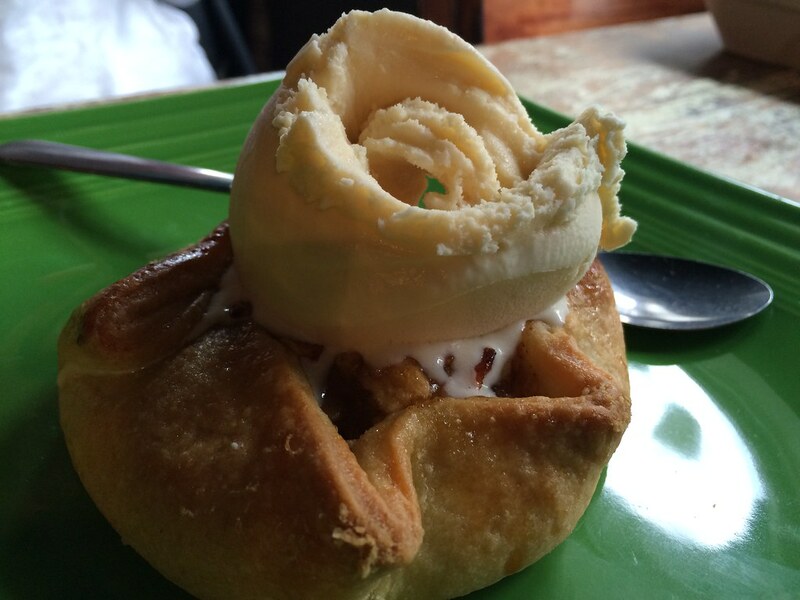 I went for a guinness cheesecake, while Lisa got an apple dumpling. My dessert was not bad, but the chocolate was dark and pretty bitter. Meh. 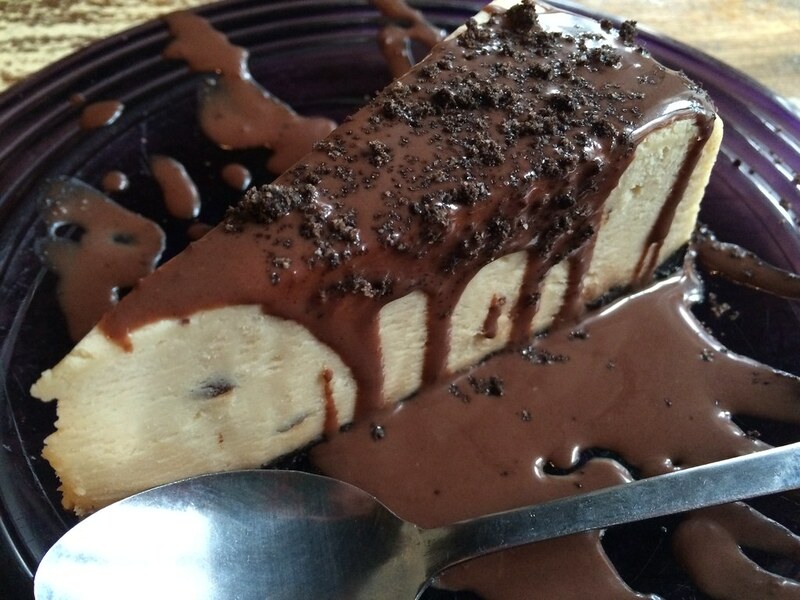 I mean, cheesecake can't be bad, I don't think. But this wasn't my favorite. 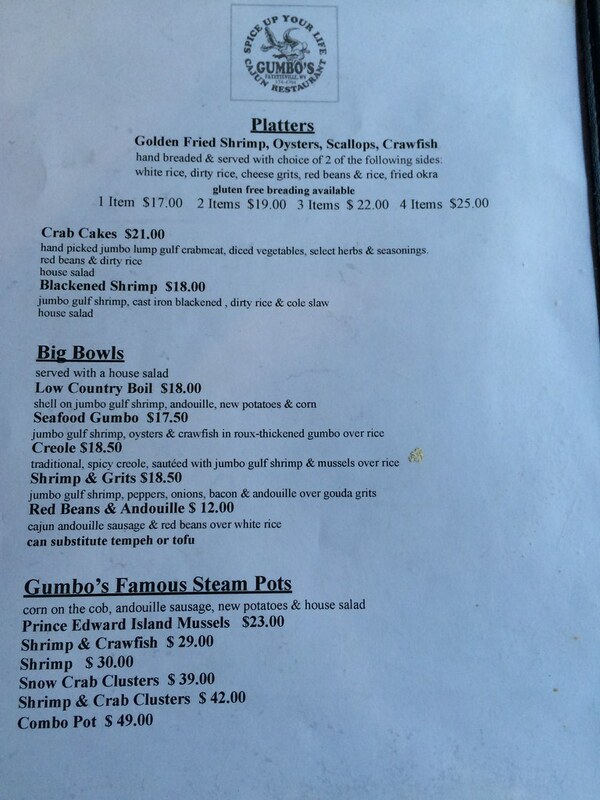 So, Gumbo's is good in my book. I could go for some more seasoning on the appetizer, a sauce or fruit that complements the cheesecake better - for my tastes, of course. Just a few little things I'd have done differently, but I liked my meal overall. 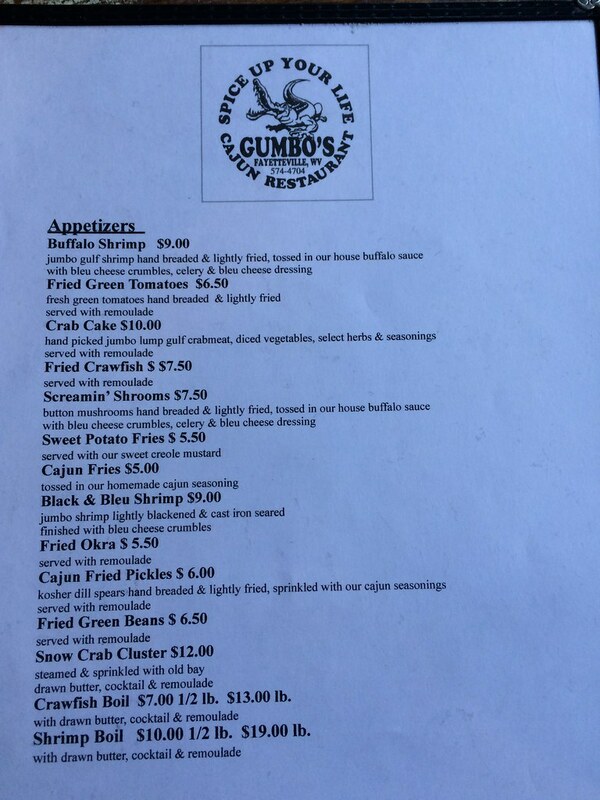 I like the idea of this place, and I think it may be the only place in the state to get cajun food.